Help with Causeview is available to all users through the Help Center. If you need help while you’re using Causeview, you can access help through the Help Center tab inside the application. By default the Help Center tab is the last tab on the tab bar in each Causeview app - Causeview Fundraising, Causeview Volunteers, and Causeview Events. The tab may not be visible if your list of tabs extends beyond the length of your screen, but will be on the drop-down menu under the down arrow at the far right end of the tab bar. For some users the Help Center tab may not yet be on the tab bar, or may have been removed. To find the Help Center tab, open the full list of tabs with the “+” button. 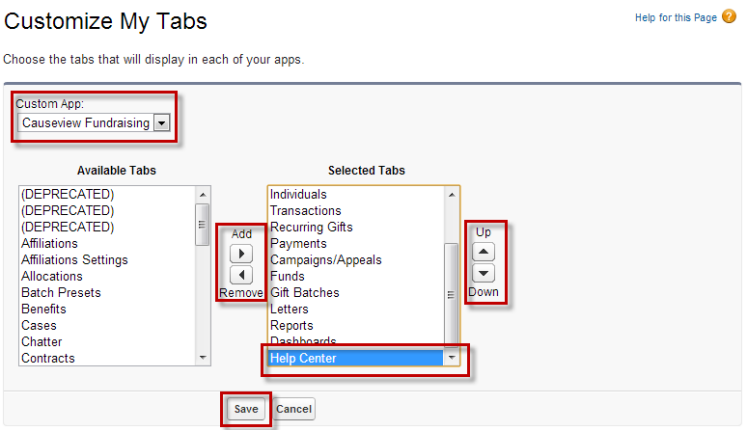 In the list of all tabs, click on “Help Center” to open the help window inside of Causeview. 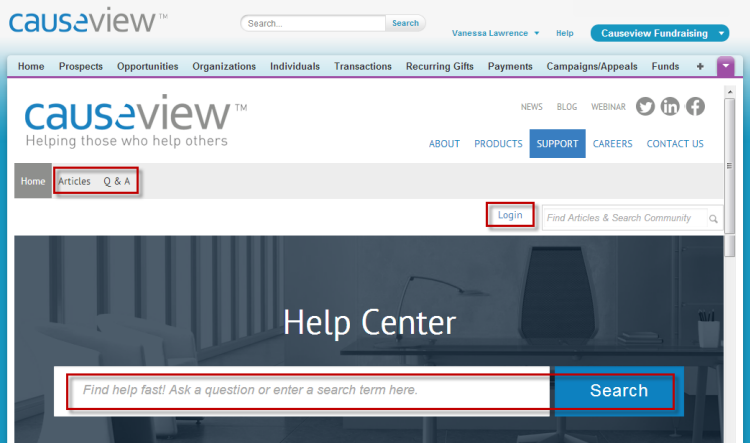 With the Help Center open in Causeview, you can perform a quick search, view public help articles and past questions and answers, or you can login to your Causeview Help Center account to log a help ticket. You can add the Help Center tab to the list of tabs at the top of Causeview for your account. 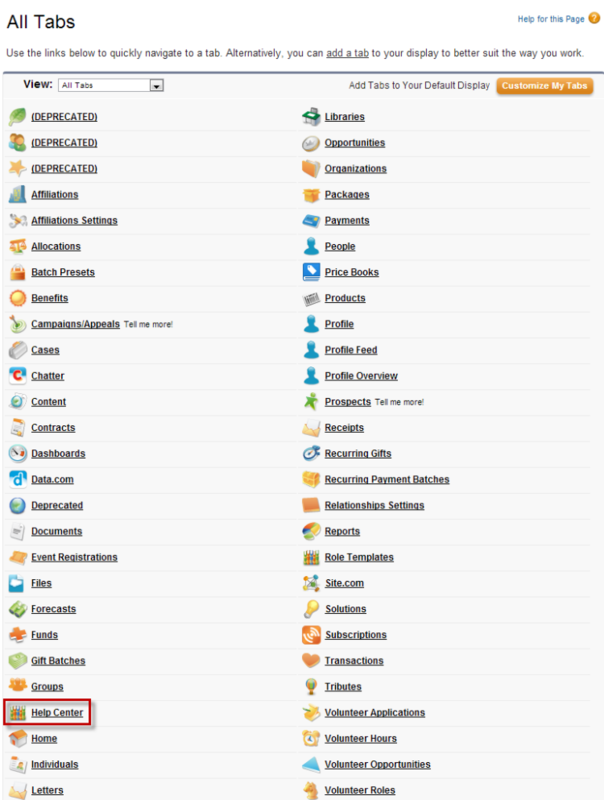 From the list of all Causeview tabs, click on “Customize My Tabs” to open the customization interface. In the customization interface, you can add and remove tabs from the tab bar by selecting the tab from the list and using the add and remove arrow buttons. You can also change the order of tabs on the tab bar using the up and down arrows. A custom list of tabs can be created for each Causeview app - Causeview Fundraising, Causeview Volunteers, and Causeview Events. When your customizations are complete, be sure to save changes.